Today I am going to share the recipe for "Palak Paneer". 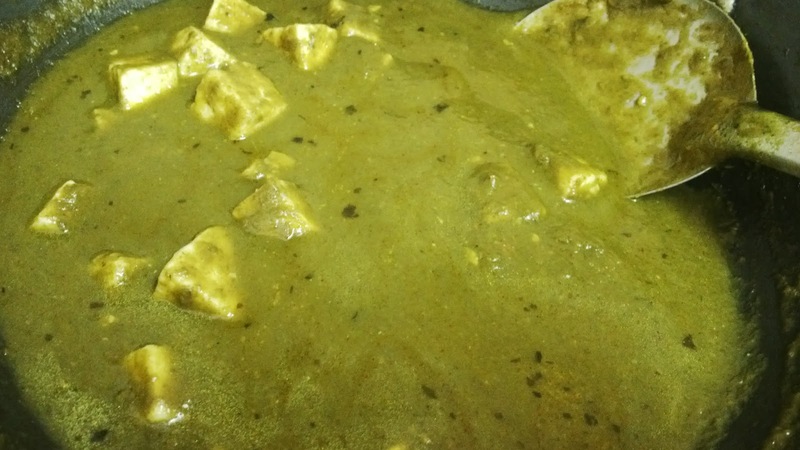 It is one of my favourite dishes in the long lists of paneer recipes- Butter paneer, Shahi paneer, Khoya paneer, Kadhai paneer etc. 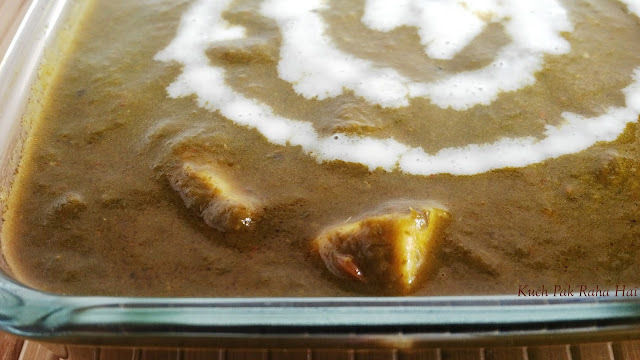 I never tried making this dish before because I used to think that its quite difficult to make and time consuming but now when I have learnt making it, I do not think so :) . 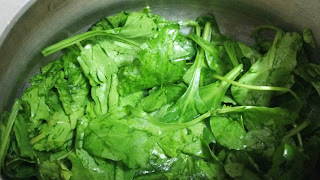 Palak or spinach always reminds me of the cartoon character "Popeye"; how he used to gulp that entire tin of spinach and got those herculean muscles in no time saving "Olive" from "Pluto" the villain of the cartoon movie. 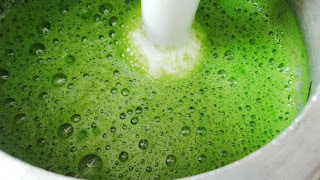 I think almost every mother has taken help of "Popeye" for making kids eat spinach. 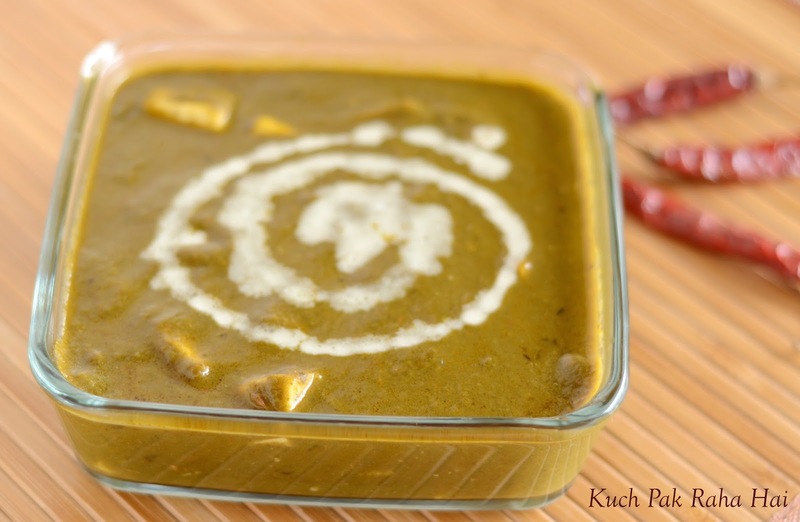 Palak Paneer is undoubtedly one of the healthiest dishes with full of iron and proteins. 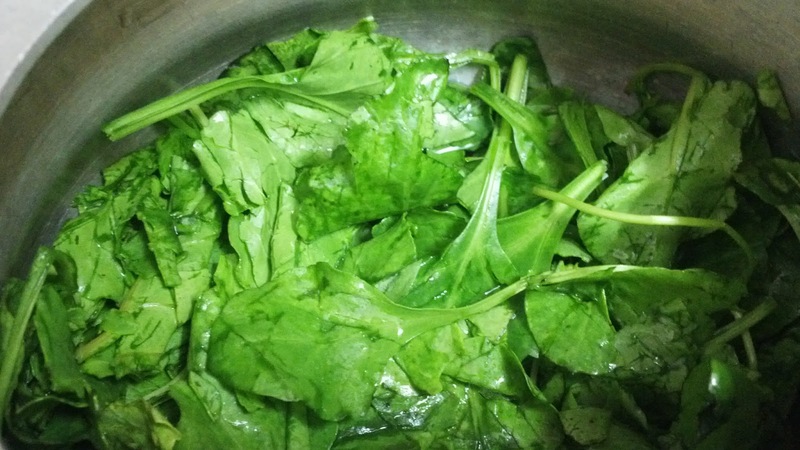 Separate the Palak leaves from the stem. Wash it thoroughly. Take water in boiling pan. Add sugar to it. 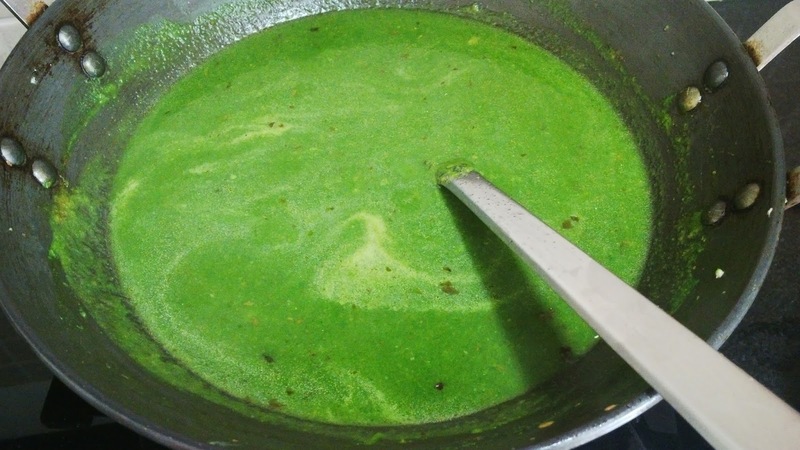 Once the water starts boiling add palak leaves to it. Cover it with a lid and let it boil for 5-6 minutes. After that, keep it aside and let it cool. As leaves have moisture of their own, not much water is required for boiling. Puree the onion and keep it aside. Puree the tomatoes with green chillies and keep it aside as well. Heat oil in a pan. Add ginger paste, asafoetida and cumin seeds to it. Once all the spices are cooked properly, add onion paste to it. 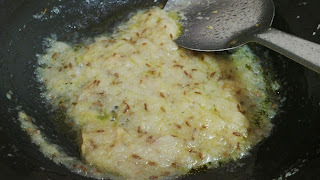 Let it cook till the paste turns to golden brown colour. Add tomato puree, salt, kasuri methi and red chilli powder to it. 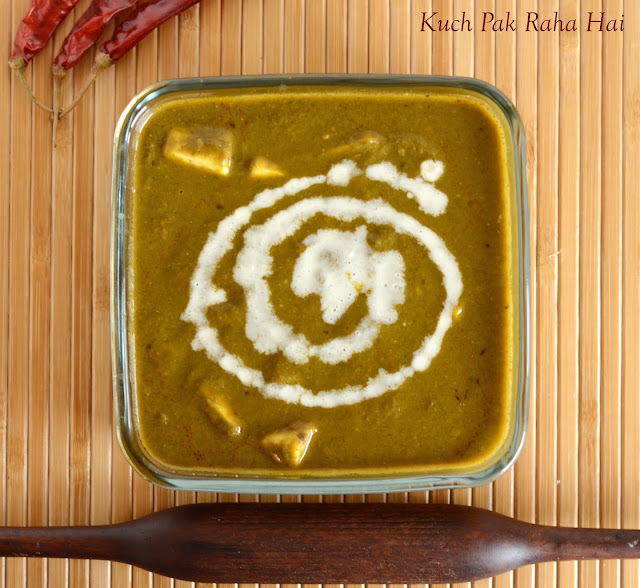 Stir it well so that all spices are mixed properly and let it cook for 3-4 minutes. Add Gram flour to it and mix thoroughly so that no lumps are formed. Add mango powder and stir well. 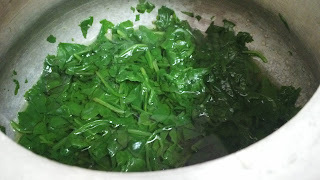 Transfer the boiled palak leaves in a blending jar. Puree them. Add the palak puree to the onion-tomato mixture prepared in step3. Stir well and bring it to boil. Cover it with a lid and let it cook on slow flame for 15-20 minutes till it starts to thicken up. Stir intermittently. 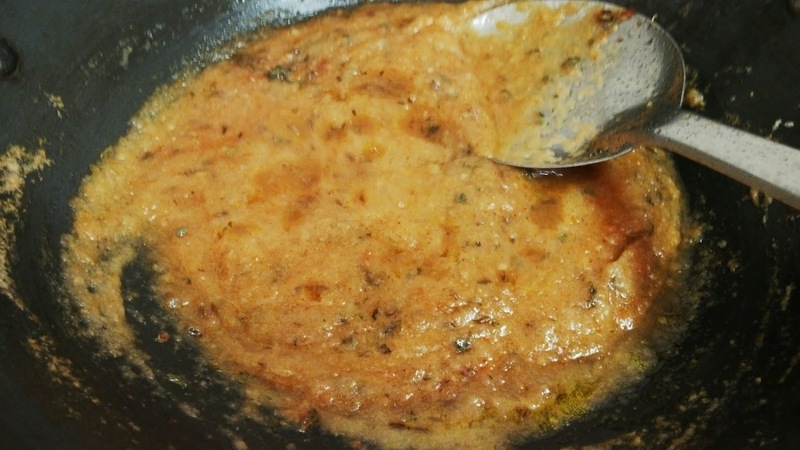 Gradually the colour of the gravy will start turning darker. 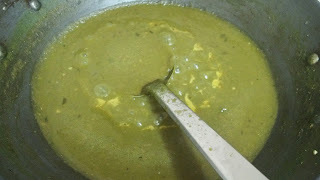 Add paneer cubes to it with half cup of water.Mix gently. Cover it with a lid and cook it for 5 more minutes.